Crosspool’s new Indian restaurant will open on Friday. 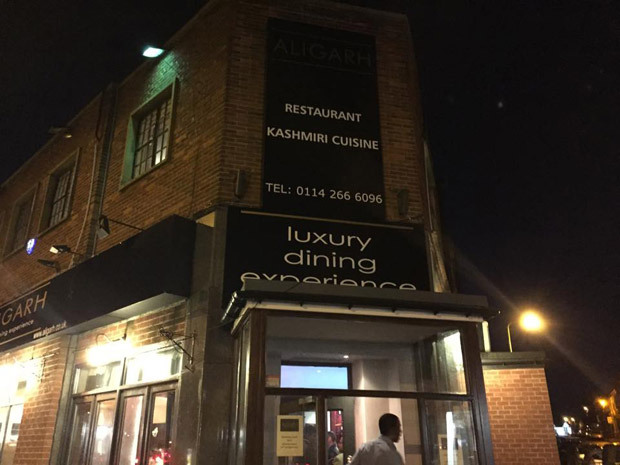 The new restaurant, Aligarh, has taken over the old Artisan building on Sandygate Road. Preview nights have been taking place this week and the owners are now taking bookings for Friday night onwards. You can call 0114 266 6096 to reserve your table. Their aim is to provide quality food and great service at an affordable price. Look out for more information and interview with on the website soon. This entry was posted in businesses, food, shops and tagged aligarh, artisan, booking, crosspool, curry house, indian restaurant. Bookmark the permalink.